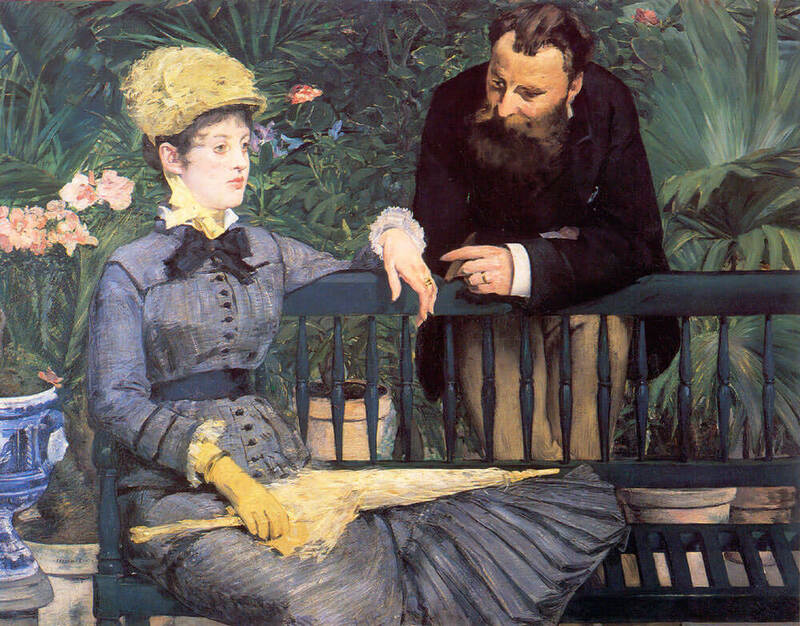 In the Conservatory, 1879 is one of the most dehghtfully fresh of all Manet's works. 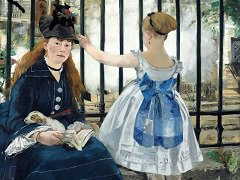 It depicts a scene from Paris society life at the time when Alphonse Daudet was pubhshing his novels. (Could this not be a scene from Fromont jeune et Risler aine?) The artist has succeeded perfectly in this conversation piece, in which the woman is like a dainty flower bright with the first bloom of youth, while the figure beside her, some years older than she, has the handsome worldliness of a man about town. One must admire the way Manet has contrasted the rose tints of the flesh with the ivory tones of the collar and hat worn by Mme Guillemet. 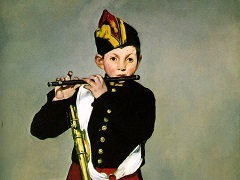 For Manet, his intimate life was also a subject for painting. 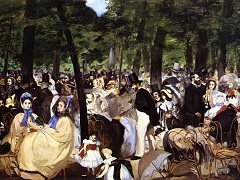 Following in his wake, the other Impressionists would, each in their turn, cross the threshold of private life, an area of art in which the Japanese were undisputed masters. 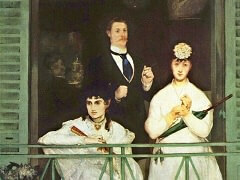 There is no voyeurism in Manet. 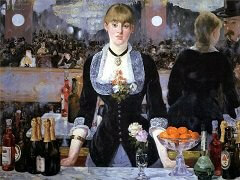 His subject is the female body wholly focused on itself, and in depicting it, he extended the realm of his art. Here, stripped of artifice, a woman meditates conquest as she stoops to rinse. Society woman is caught pre-society. 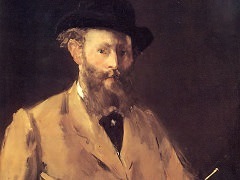 But though the subject, in Manet, no longer had the same importance, his sensuality transpires as strongly as his affection. "Drawing is not form," he said, "but the way forms are seen", and "Even with nature, composition is required". 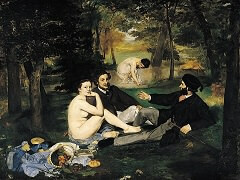 These maxims specify Manet's divergence from the Impressionist doctrine of fidelity to nature. They also distinguish him from Edgar Degas, who, some ten years later, began his astonishing series of women washing, returning to the theme of the bathtub in sophisticated overhead and japoniste perspectives.